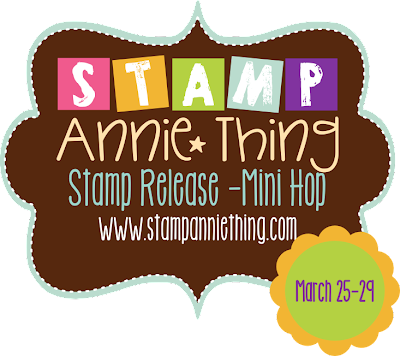 This is the last day for our VERY first Stamp Release and Mini Hop, so I hope you had as much fun as we did!! If you arrived here from Sherri, Squeaky Scrapper, you are in the right place! If you just happened on to my blog today you'll want to start at the beginning with Ms. 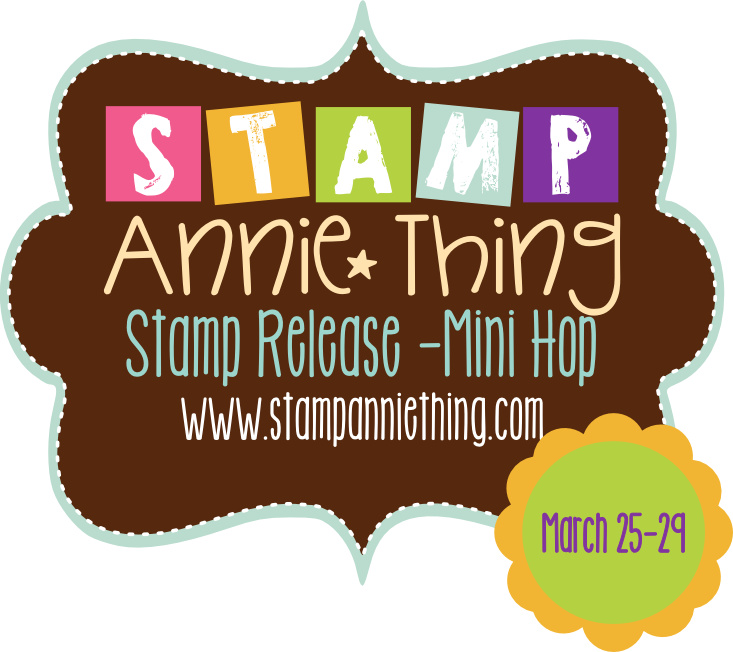 Stamp Annie herself. You'll want to make sure you visit all the blogs on the hop for all four days so you can qualify for the grand prize giveaway. Today we are sharing a new release, from the upcoming "Our Lil' " Series. Todays Sneak Peak is "Here's the Dirt"
This adorable 4 X 3 stamp can be used for just about any occasion! Here's my project using "Here's the Dirt"
Stamp Annie*Thing projects with us ~ we would LOVE to see them! Such an adorable card! I love it! What a fun card! She is a beauty!!! Darling card! Love the border you crafted! Thank you for sharing! This mini hop has been loads of fun this week! Loving all the creations by you four talented ladies!! Sweet card...love that little worm on the stamp set!! Very nice. The girl is darling. I love how you use the sentiments! great idea!!! I like the way you stamped around the frame of the card. Great coloring. Oh that image is soooo cute!!! I love it!